This step-by-step photo guide will take you through an very easy method to learn how to peel and cut an avocado. Today I’m in the mood to celebrate an avocado. Avocados, without question, deserve their time in the spotlight. A perfect avocado is absolutely stunning and unbelievably delicious — they are one of my favorite foods on the planet! And guess what? Every recipe I post next week will feature avocados! Yay! Recently a few of my food bloggin’ buddies spent an entire day with these beautiful fruits. You can share their exciting culinary experience here! And for my favorite Avocado resource with tons of valuable information and delicious avocados, go to California Avocados Direct! 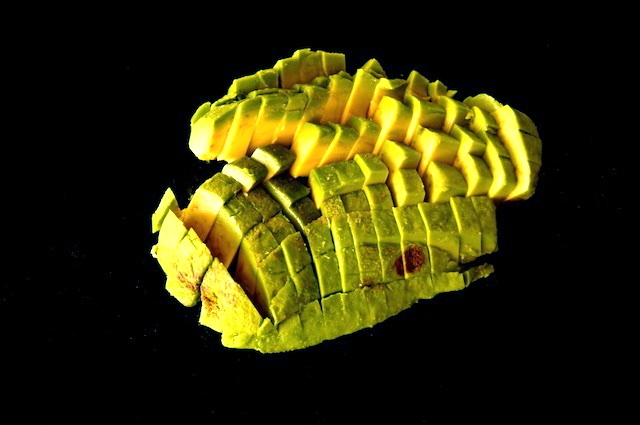 Use a paring knife to cut around the center of the avocado, lengthwise. 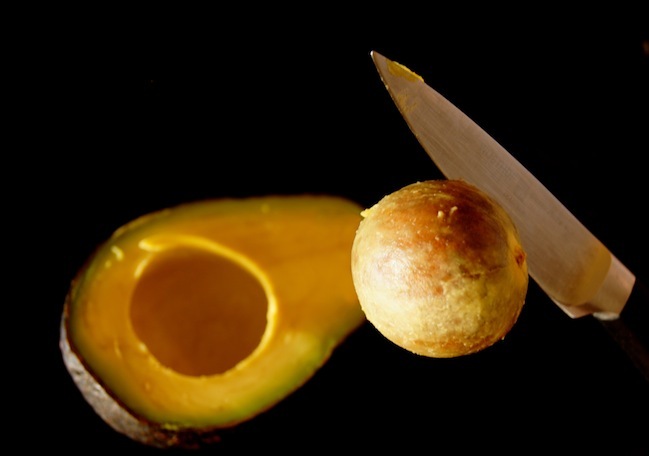 Rotate the avocado around slowly to move your knife completely around the pit until you have two clean halves. 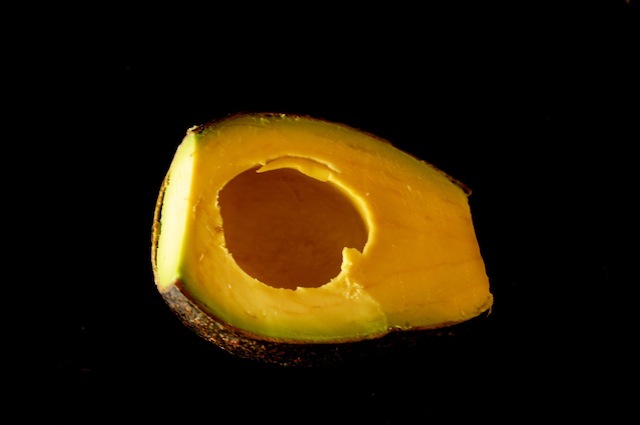 Hold the avocado half that contains the pit gently on your work surface, and use a the knife to remove it — use a bit of force, starting with your knife slightly elevated and chop into the pit. Then gently lift the knife, twisting it a bit, and the pit should easily come with it. Use a towel to remove the pit from the knife. 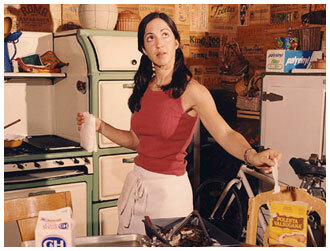 Place both avocado halves round side up on your work surface. Cut about 1/4-inch off of each end. Use your hands to gently peel the skin off the avocado. Round side up, slice the avocado to the desired thickness. Cut it into a dice if you’d like. Avocados are slippery — to keep the slices intact, use a flat-bottomed spatula to move them to your serving plate or to the dish you’re adding them to. Simply lovely, wouldn’t you say? A few little dark spots are okay — they just make it real. This is not a sponsored post. I truly am in love with avocados and I think both Mimi Avocado and California Avocados Direct are fantastic! Beautiful guide to cutting an avocado! It’s a little easier if you cut the avocado into quarters before you start to peel…but then you don’t get a perfect avocado half either. Those perfectly peeled halves are sooo pretty! Thanks for the gorgeous post! And thank you, Mimi, for growing such great avocados! Love them! Gorgeous post!! Yes, Mimi’s avocados are the best!!! Cool! I will say the challenge is often removing the seed from the knife…safely! The towel method does work! !